Growth Continuing with Expansion at Guttenberg Industries - Guttenberg Industries, Inc.
After celebrating its 40th anniversary in 2014, and relocating its corporate offices in 2015, Guttenberg Industries, Inc. (GII) is now preparing for a new expansion in 2016. Starting this Fall, work will begin to expand the manufacturing plant. With the increased business, there is also a need for additional employees. There are significant opportunities for full-time work on all shifts as well as part-time positions. New 385-ton injection press was delivered September 13 and in production on Monday, September 19, 2016. Guttenberg Industries, Inc. is already one of Clayton County’s largest employers with nearly 120 employees. With this new expansion, the company will have nearly 90,000 sq. ft. under roof within the Garnavillo Industrial Park. Employment is expected to climb to nearly 140 combined full- and part-time staff. A 12,000 square-foot addition will be added to the southern side of the existing building. This will allow for a re-organization of some departments and to make an adjustment to a couple machine locations. 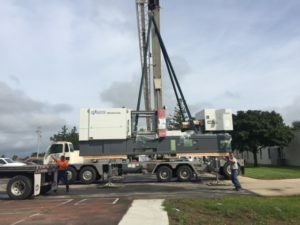 During this process GII will be retiring one of its old 85-ton injection molding presses and replacing it with a new 385-ton press. In addition, new technology and additional automation will be featured. 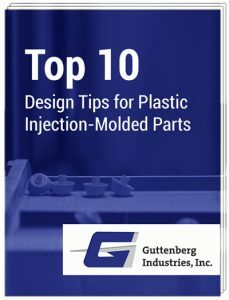 About Guttenberg Industries, Inc.: The family-owned private Custom Plastic Injection Molding company was founded in 1974 with production and office operations located in Guttenberg, IA. In 1995, with no room to expand its operations in Guttenberg, the company constructed a new manufacturing facility in nearby Garnavillo. For 20 years the Garnavillo facility continued to expand. In November 2015, facing the need to improve company efficiencies to compete in the industry, Guttenberg Industries relocated its corporate offices into a new office building next to its manufacturing plant. 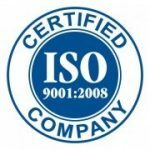 Providing quality custom injection molded parts and related services since 1974.